Burell Built Exteriors is happy to provide expert roof repair and replacement in Morgan County, TN. We offer complete residential as well as full commercial roofing services. Call us today at (865) 385-6926 for your top roofing company in Morgan County, TN. Our roofers are proud to specialize in a variety of roofing methods and materials for your house or business. No matter which problem your roof is experiencing, we will use our decades of roofing knowledge to quickly assess and repair the issue. When you have an urgent leak or fire damage, contact us right away at (865) 385-6926 for emergency repair. 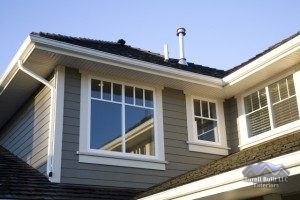 As our company name implies, we also offer home exterior services such as window replacement, gutter repair, and more. Our roofing company in Morgan County, TN is here to help with whatever you need when it comes to roof repair!